WARNING: Maze: Nightmare Realm contains explicit content and is intended for mature audiences. Your nephew, Timmy, isn’t waking up. He isn’t sick or injured… He simply won’t – or can’t – wake up. To find out what’s wrong and bring him back, you enter his mindscape, where you’re confronted with a grim and twisted version of reality. You see, Timmy has a secret, one that’s keeping him trapped in this nightmarish world. 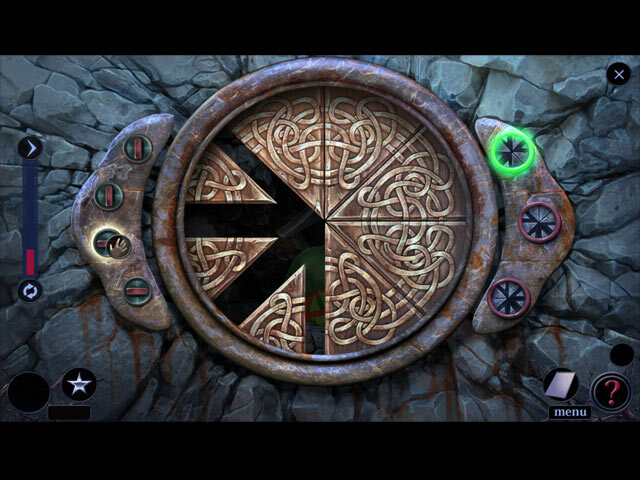 Take a deep breath and follow him into the dark recesses of his mind, solving puzzles and escaping the terrifying creatures that lurk there. Maze: Nightmare Realm is rated 3.5 out of 5 by 15. Rated 5 out of 5 by LikeAGoodStory from The Reviews Convinced Me to Buy the Game This review is based upon completed play of the game. If it had not read reviews, I would have passed on this game. As others said, the warning is a bit severe but beyond that, horror, psychological thriller, or nightmare are not generally my kind of game. This game is a welcome exception. I look forward to playing the other two games in the series. Mad Head Games is a favorite developer of mine, and I have purchased many of their games so that was another reason to try the demo. I was hooked immediately and purchased the game before the demo ran out, not something I generally do. Some have commented they thought the game was too short but I thought it was a bit long. Thank goodness for varying reviews. The story line intrigued me, entering the nightmare of a young boy and meeting what scares him but the boy is elusive, taunting at times, trying to outrun his fear. For me, it is an unusual story line but again, I don't play this kind of game usually. I thought the acting was excellent, especially for the aunt and the boy, and the monsters were monsters, growling but not screeching. I like the idea of them being pets, again interesting. It was that kind of nuance that I found intriguing. I always enjoy Mad Head's hidden object scenes and mini-games but these were some of the best from this developer. Many were original (to me) and the games were not difficult. I, too, like a mini game that does not overshadow the pace of the story. The cutscenes, voice overs, and graphics were first rate. All in all, this was a great game experience. As always, try the demo. Enjoy the play! Rated 5 out of 5 by Anashroberts32 from Loved it once again This third edition to the Maze series was absolute gold once again!! I really enjoy the level of player interaction within this game. The choices you make may be the wrong ones, but it is so fun to see the outcomes based on what you choose. This function makes these games so unique. I was also happy to see the storyline focusing more on the paranormal, similar to that of the first game, Maze: Subject 360. Keep up the great work Mad Head Games! Rated 5 out of 5 by Pilot1 from If you never buy another game, buy this one! I have Maze-Subject 360 and Maze-The Broken Tower, great games both, but this newest addition to the series blew me away! The play-by-play has been, or will be well described by other reviewers, so I won’t duplicate that good work. The graphics, music, background and effects sounds, as well as the voice-over narratives were outstanding. The voice-actors did a great job making the spoken dialog realistic and dramatic, without falling over the edge into melodrama. Taken all in all, these definitely add to the already great game experience. The HO sequences and mini-games were no run-of-the-mill offerings. Mad Head has made the extra effort to give these enough of a difference to set them apart from almost every other game you’ve ever played. The challenges are sufficient to satisfy any player, but not so tough as to make you constantly reach for the hint or skip buttons. I’m not going to give you my usual caveat —play the demo and decide for yourself— instead I’m going to do something I have never done for any of the many dozens of games I’ve reviewed and recommend that you just go ahead and buy this game! Rated 5 out of 5 by 2020moonlanding from Nightmare Realm Once you learn that your nephew is unable to wake up you rush to his side and enter his mind in the hopes of bringing him back. If you loved Maze: The Broken Tower and Maze: Subject 360, you will enjoy this one as well. The graphics and cutscenes are excellent. I especially loved the ghostly apparitions and monsters. The scenery was the right amount of dreariness to set the stage for this spooky thriller. The HOs and mini games were well done and the storyline was consistent. There's a map and you can customize you're mode of play. Rated 4 out of 5 by JulzCat from Wake Me Up From This Nightmare! I enjoyed this game. To me, neither sequels have been better than the first, but they each have their own merits and are worth playing. I like the idea of walking through someone's nightmare and seeing a scarier version of the real world in which you live, and I'm always a sucker for a horror game. In the end, though, I could only give it 4 stars because it was simply too short. I'm still glad I played it, though. The warning about the graphics were a bit unnecessary, as others have mentioned. There was one scene where a man kept jumping around the room that was a bit creepy, but not explicit. I don't think it would be safe for people that have issues with flashes of lights, though, and there was plenty of that in this game. Rated 4 out of 5 by Dazzleceil from Great Game Too short I thought the game was fun, creepy and full adventure. However, it was way too short. Madhead does a great job presenting games, but feel they should give a little more on longevity. It is great for a beginner and easy for anyone to get thru, but a experienced player would be bored. Rated 4 out of 5 by PATinPNS from Wasn't Gonna, but Glad I Did This is posted after playing the entire game. I almost talked myself out of buying this one even before playing the demo. I had convinced myself it wasn't going to be any good, simply, because of the genre. Boy and I glad I didn't listen to me. I really enjoyed playing this on a windy, rainy north Florida day. The graphics were really good. Pretty natural with that unnatural twist you would expect from this type of game. The music is the same as the other games in the series and really isn't to my liking, but it isn't intrusive. Effects and voice overs were excellent. I loved the hidden objects and liked the mini games for a change. That probably means they were simple, but I'm not one to work all day trying to solve a puzzle. Some of the puzzles I didn't understand and some were repeated two or three times and once is enough for me. Hidden objects were very varied, clear and clean and kept my interest trying to find everything. There is a map that really came in handy. It shows where you have something to do and will transport. I liked the clue board. I seldom if ever use the journals we get once in a while, but I used the clues several times. You don't have to scroll through page after page looking for something that happened previously. I'm not a big fan of this type of story. I think I'm just tired of ghosts, witches, and things that go bump in the night, but this story, which others will go deeply into, kept my attention all the way through. I connected with the child and wanted him safe and sound. This was well written and performed. I did enjoy this one. be sure and not judge the game by the cover. Give the demo a try and I think you will enjoy it also. It is a well put together game from start to finish. Rated 4 out of 5 by pennmom36 from NO MORE TV TIME FOR THIS KID! I love this series because I love creepy games, the creepier the better. Yes, I love a lot of different series, I'm addicted to HOPA games for sure, but I suppose that if I didn't love most of the games offered, there'd be no need of a membership lol. When I rate a game, my biggest consideration is whether or not the demo held my attention. If while playing the demo, I feel distracted, bored or know how the story develops and wonder if it's ever going to end, I'm probably not going to buy the CE or SE version. If I'm so engrossed in a game, that the abrupt ending of the demo takes me by surprise, or I just gotta know how the story ends, I know I have a winner, (for me personally). I wait until a there's a sale that makes the CE the same price as an SE, and buy the game, but I usually wait until the SE version is released to finish playing it. I then play the demo again but in the SE version, then I finish playing the game in the CE version. This way, both versions are fresh in my mind, and I don't confuse the current game with other games I've played. I do love the extra's offered in most games, particularly Morphing Objects, so I usually prefer the CE over the SE in most cases. I deducted a star on this version of Maze, only because I felt that after the demo, the nightmares were all pretty much the same, and didn't hold my interest at all times. However, I have played a ton of HOPA games, so I've pretty much seen it all, several times over. So here's a recap of my review to help you decide which version, if either, is right for you: Welcome to Timmy's nightmare, welcome to another creepy Mad Head game! I don't think this game is as epic as Subject 360, and the storyline is very similar to Stranded Dreamscapes: The Prisoner, but MH knows how to put the mad into madness with just a touch of twisted insanity and warped visions of a nightmarish realm! Timmy's father is a doctor who specializes in dreams, but has been unable to bring Timmy back to reality. Aunt Christine however, specializes in nightmares, and has agreed to enter Timmy's nightmare, and help him fight the demons that are haunting him. There's just one problem, Jimmy doesn't want to leave, until he completes his "dare" In the Collector's Edition version, there are 31 Collectible Hidden Signs, some of which are very well hidden. 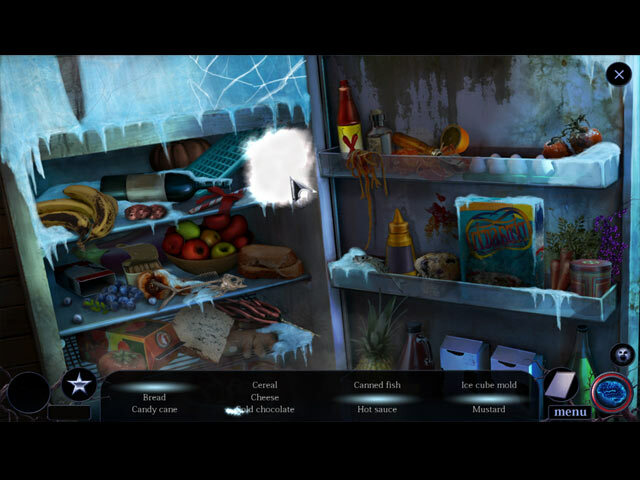 There are also 19 Morphing Objects in the CE, one in each of the Hidden Object Scenes. I prefer the Morphs in each location, not in the HOP's, but Mad Head games seem to only offer them within the HOP's on all of their games. Honestly, the CE game doesn't have enough of a wow factor as far as the extra's go, to warrent the price difference, so this Standard Edition is probably the better choice. 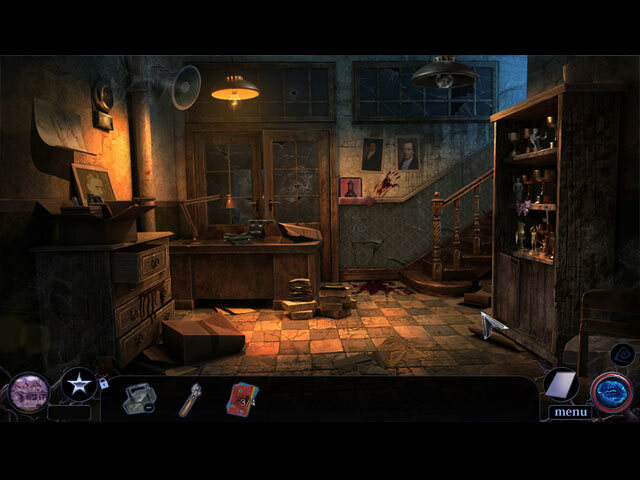 The Hidden Object Scenes are far and few between, and consist of Multiple finds, (one of which allows you to earn several achievements) there are Keywords in Sentence finds and Listed items as well, and in the CE version, each HOP has a Morphing Object to find. The Morphs are very well done, and not very obvious, making them a fairly decent challenge. The Mini Games range from easy to medium difficulty, so far nothing really frustrating offered. Below are brief descriptions of some of the games you'll encounter during the demo: 1) Press buttons in the correct sequence, according to the clue located somewhere in the room. 2) Select a token to move it to an adjacent empty slot, to arrange tokens in the correct rows. 3) Select misplaced objects and return them to the scene correctly. 4) Stop the crosshairs when it passes over the window handle. 5) Select the numbered tiles on the board to light them up, so the sum of the lit up tiles equal that shown on each column and row. 6) Swap and rotate tiles to complete the image on three different puzzles. 7) Select and jump coins into an empty slot to remove them. 8) Repeat the sequence of statues lighting up. 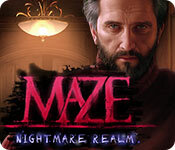 MAZE GAMES AVAILABLE Title***Collector's Edition Release Date***Average Rating 1-Subject 360 (August 1-15) 4.6 2-The Broken Tower (October 8-16) 4.1 3-Nightmare Realm (August 12-17) 4.0 The Collector's Edition has Wallpapers, 8 Character pictures, 31 Collectible Hidden Signs, 19 replayable Hidden Object Scenes, 10 Morphing Objects within the HOP's, 10 Achievements to earn in several categories, 34 Mini Games, 5 Music Soundtracks, Jigsaw Puzzles to assemble, a built in Strategy Guide and a Bonus Chapter, enjoy! Rated 3 out of 5 by coffeyfan77 from More Like Tossing and Turning I have enjoyed most of the Maze games, but I agree with a few of my fellow reviewers that the mature themes stated in the forefront are frankly much ado about not much. Your character enters the dream state of her nephew thanks to a funky dream helmet from a serious looking chap in a turtleneck and you proceed to figure out what got him into the predicament to begin with and how to defeat the monsters that plague him. And you change a LOT of lightbulbs. There is plenty done right here. The game looks and sounds good, the settings are well done, the ability to pick your challenge level is better than in most games, and you do make some decisions as you go. Unfortunately, the decisions are to do one of two things and it doesn't matter what logic you use. One's right, one's wrong, and you just pick the other one after. I'm all for adding a layer of depth to your standard HO, but this feels tacked on to me. Hidden object scenes are plentiful and for the most part well done, excepting a few silly ones where you gather the same thing fifteen times. Gameplay was exciting and interesting, although I confess I found the ending strange. Maybe more is revealed in the CE, but I don't intend to find out. This is a bump in the road for a series that has far better chapters in it. Every maze has a dead end or two. Fun but average.